Birchbox cost’s $10 a month but if you review your items then you get a credit of 10 points for each one which is $1 to use in the store. Points can only be spent in increments of $10. Which take no time to get. They have the best point system out of any box I have tried! I made the joke in last months review that Birchbox is the “Gateway Box” that will likely lead to a more serious addiction. It is sort of not a joke because this box helps ease any hesitation you may have had due to its bonus program and great customer service. It is easy to cancel because you can do it right in your account. They included a unique code for you to input where you could see if you had won anything. Everyone is a winner, and my code said I won 10% my next purchase. Oh well, better luck next time! 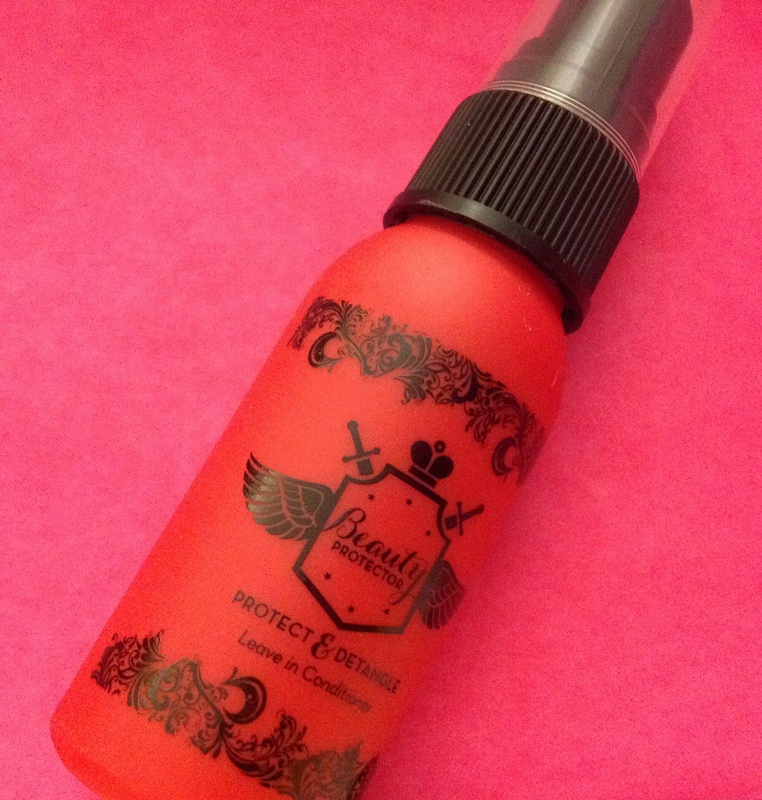 Beauty Protector – Protect & Detangle: I am a sucker for conditioning spray. I dream of the day I can spray one in and it will make my thin scraggy hair into a healthy mane of envy inducing locks. Until then I will just spray and spray and spray. I like the smell of this product and it works well. I just wish there was a beauty giver spray. My hair has hardly any to protect! How many sprays do you think Rapunzel would need? Coola – Classic SPF 30 Cucumber Moisturizer for Face: I really like this brand because it does not clog my pores and it feels nice and light on. This is a great sample to tuck into your bag or car for touch ups. I usually use a tinted face unless I am going to the pool or beach. I always get tinted color all over everything in those settings so clear is the way to go! Do you think the other veggies ever get tired of cucumber getting all the good press? 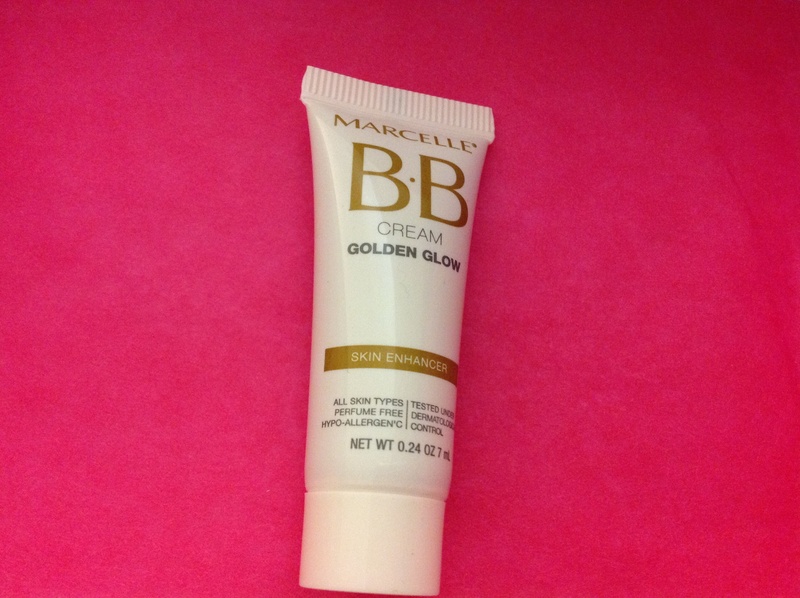 Marcelle – BB Cream Golden Glow: In one place I studied abroad they had these trees that looked like little apples. But what looked like tasty little fruits were actually a very corrosive acid. Women used to take these fruits and put it on their skin so that their skin would be lighter. Imagine all the pain for cosmetic “look,” when now the trend is Golden Glow! It does look natural (at least on my skin) and has an airy feel that I really like. I remember the first BB cream I bought was a drugstore brand it looked so bad on me, and it felt like a foundation. This feel like nothing is on! I don’t all together get the difference between BB and CC creams. Will they confuse me further by making a DD Cream? Marcelle – Waterproof Eyeliner: I can’t really ever think of a time that I wished I had blue eyeliner. I think I wore it when I was little and would watch “Jem and The Holograms” and dance around my room pretending my earrings were magical. I am going to gift this to someone who has more style than me because clearly I am not the target for this shade. 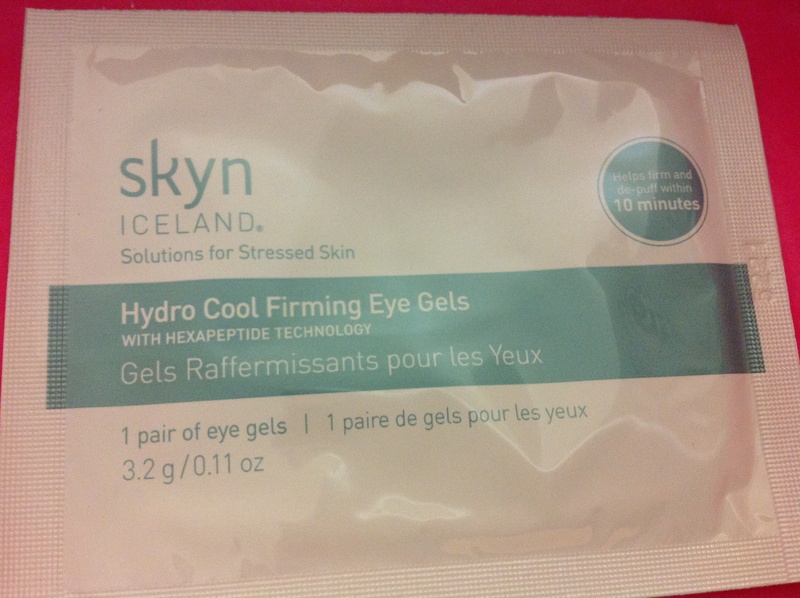 Skyn Iceland – Hydro Cool Firming Eye Gels: I think it fairies were real they would all come from Iceland. I have never actually been but I dream of visiting. I am going to stash these with my other eye gels and do a battle royal. Who will tame my ever growing bags? Your guess is as good as mine. Plot twist these are made in Korea! 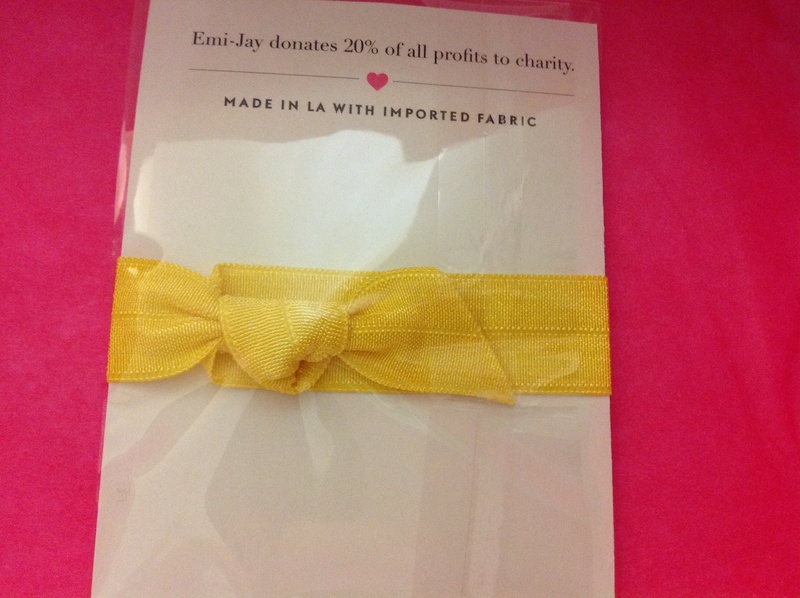 Emi Jay – Hair Tie: This was a lifestyle extra and I am all about that! It is cute that this company donates 20% of profits to charity. I always wear a hair tie around my wrist because I was a Boy Scout in my past life. While other bands look scraggy, this one looks actually pretty cute! Do I dare use this to make a side ponytail? I do! 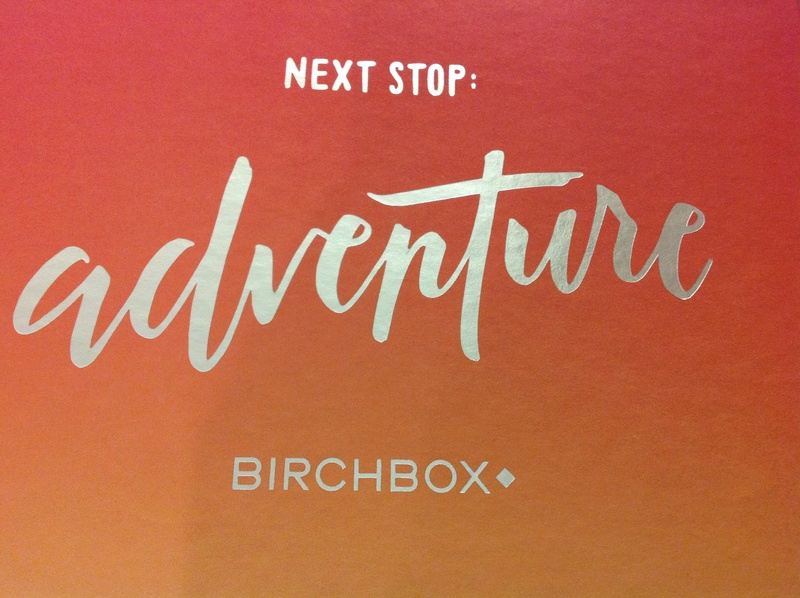 Verdict: I am happy with this Birchbox and felt all the products were fun to try. While personally I cannot use a blue eyeliner, the rest more than makes up for it. I think it is great that they are sampling sunscreen as summer starts because it will allow us to try a few and see which ones we like best. 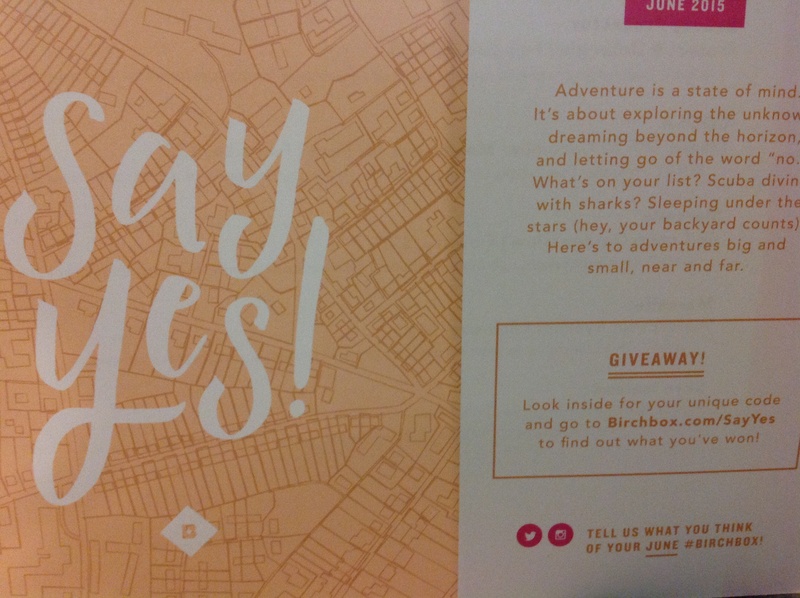 The extra lifestyle item was a nice surprise and icing on the Birchbox cake! What did you win? I really want to know what they are giving out! Want MORE? 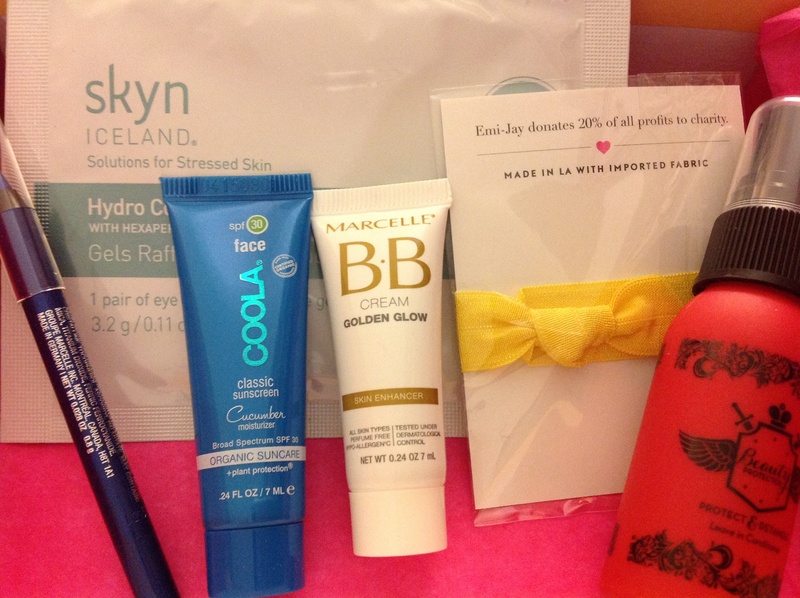 Check Out Nana’s Birchbox Review For This Month! I’m surprised that the Skyn Iceland Pads are made in Korea. I have a face lotion and a face balm from them and both are made in the USA. Hmm. I like your box except for the eyeliner and BB cream. Emi Jay hair ties work well in my hair. I use the Coola face sunscreen already and also own Beauty Protector. This is my second month of receiving two boxes.I signed up for a second box in May when they were running great deals. I received 20% off in both boxes. I also received my men’s 6 month discount code and my 12 month discount code this month. 1. Comptoir Sud Pacifique Vanilla Extreme – I may buy this in a full size. I love the scent. 2. Coola SPF 50 Sport Mango – My PYS. My family uses a lot of sunscreen. I already own a couple of these in a full size. 3. Dr Jart Ceramidin Cream – I am afraid to use this. 61 ingredients!!! My sister will use it. 4. Marcelle Waterproof Eyeliner – Mulberry – Giving to my sister. I wish I could use it. 5. Vasanti Cosemetics Brightened Up Enzymatic Face Rejuvenator – Going to sister. Box 2 – 21 year old birthdate – This is the same profile with a different birthdate. 2. Coola Classic SPF 30 Cucumber Moisturizer for Face – Will use this. I already own a full-size. 3. Liz Earle Instant Boost Skin Tonic Spritzer – Excited to try this. 4. 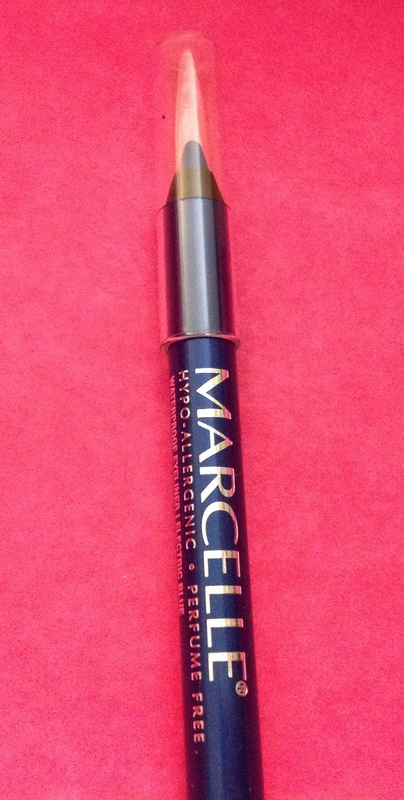 Marcelle Waterproof Eyeliner Blue Lagoon – Off to sister. 6. Pure Vida Lace Headband – That is what the card says. It’s a pretty coral/peachy color. No way would that fit me as a headband. I ordered the headbands that were a BirchBox plus item and those fit. I’ll use it as a ponytail holder. Isn’t there a Jems and the Holograms movie coming up? Yes! I don’t know if they can do it justice. Jem was awesome!! Thanks for sharing your boxes!!! The tonic spritzer sounds super interesting! I have an extra Emi I’ll send you! I’m going to try to review my other boxes but like you I got blue eyeliner in each box. 61 ingredients!?! I really need to pay more attention to that stuff! Sheesh that is so many! The first time I got multiple birchbox accounts I didn’t change the birthdate and got the exact same boxes! Yea on the extra Emi! Yes, 61 ingredients. I wasn’t going to count them until I saw the ingredient list. I was checking to see if I can use it on my face without irritating it. That is all sorts of insanity. I swear you have really made me start looking at what the heck I am putting on my skin! Subscriptionista – Can you use the Toni & Guy Heat Protecton Mist? I received a huge sample in my second box last month. It’s 2.53 ounces. I hope you are feeling better. Yes! Also yes I’m feeling better. Today my car battery went dead and it took hours for it to get fixed. They sent out some kid to jump me and be didn’t do it right so I had to wait longer for a tow guy. What an ordeal lol thank goodness for cell phones though! I hope today is going better. You should review your other boxes! I’m not going to do 2 boxes for July. Im going to cancel one. The loot crate is on it’s way btw! I know there are spoilers but I’m waiting! I am overloaded with beauty and hair products, but birch box is a great sub. Biotin supplements like Natrol or Biosil from Sprouts or Barron’s, is amazing for thickening hair, skin benefits, and for my creaky knees. I’m like a wookie on the stuff. Ok, so I bought the biotin stuff…but I just forget to take them! LOL So bad. I have a coworker who takes them and her skin is so nice and she has pretty hair. I need to remember! Birchbox was the total gateway box for me! I try to keep it under control and limit myself to only 3 subscription boxes: PSMH, Birchbox & FFF – but it is tough. I live vicariously through your blog, and others, and feed my addiction that way – it helps to take the edge off. LOL CiCi I feel you. I feel like I need to branch out my blog a little to try not to buy all these subs! I swear it is insane! Keeping it to three is so awesome. Until I get my addiction under control I will take the hit with the boxes! I am down to 3 boxes, well only 2 recurring, Rachel Zoe and Little Lace box, plus MSA/Kloverbox. I also live vicariously through others boxes, and appreciate your reviews. Thank you Kelly! I am trying to get some reviews out ASAP. I am just of the lazy variety blogger lol I will get it together today!